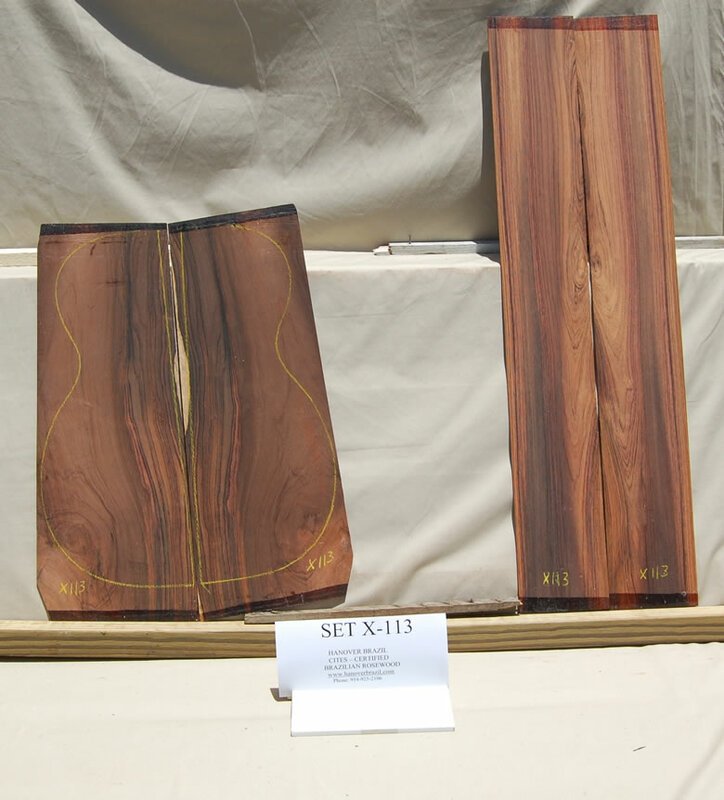 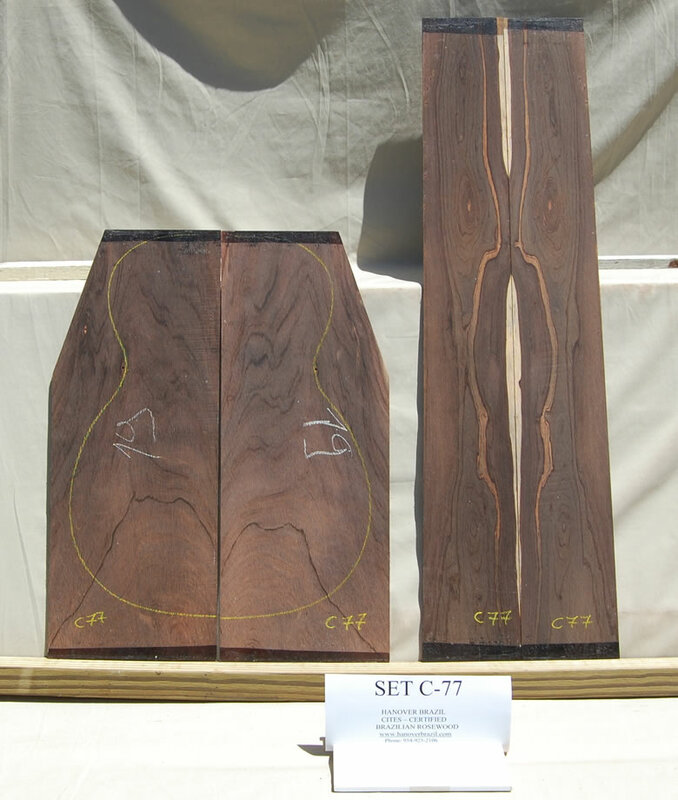 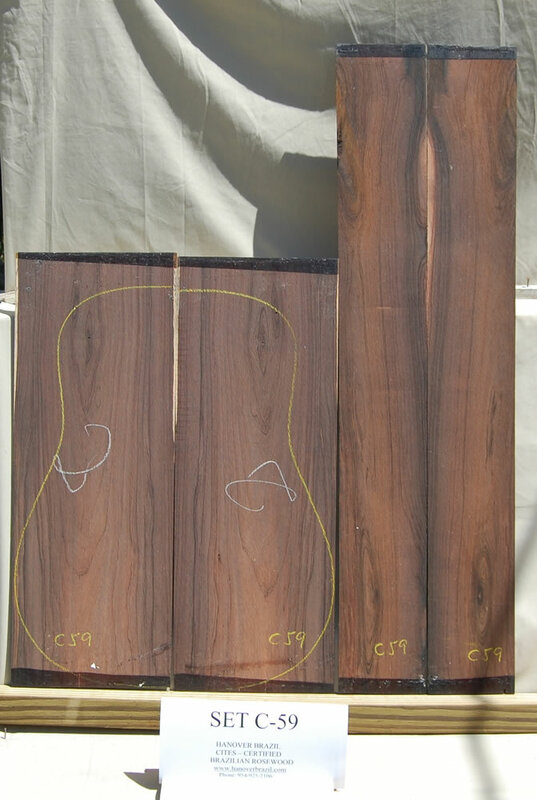 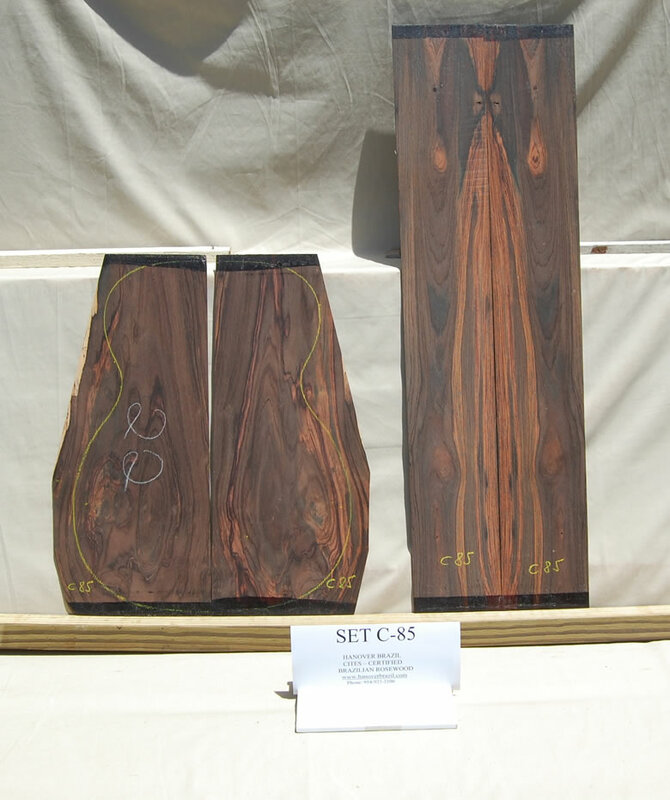 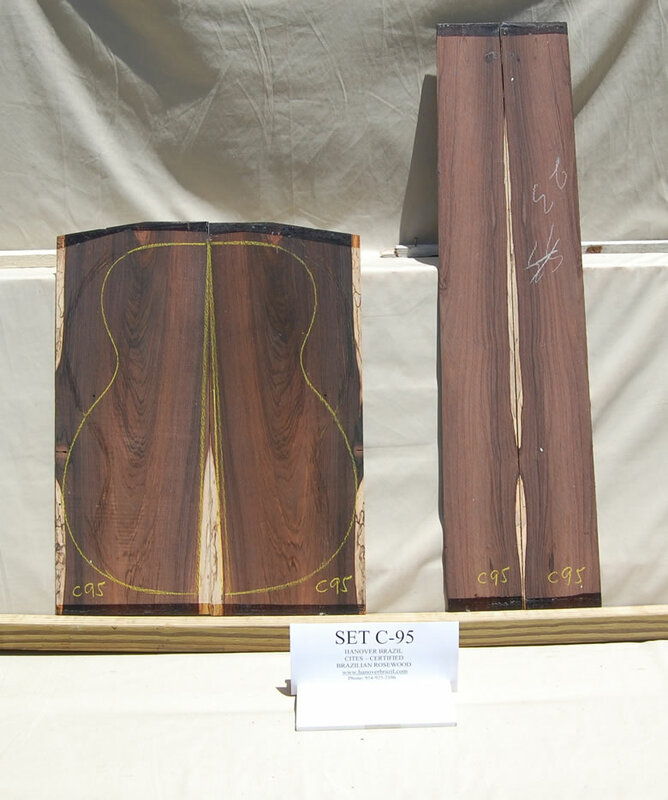 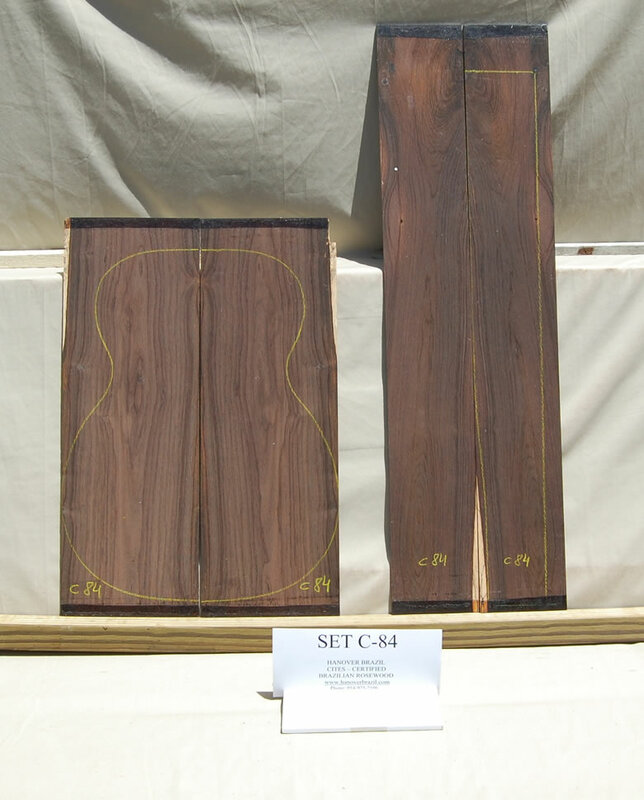 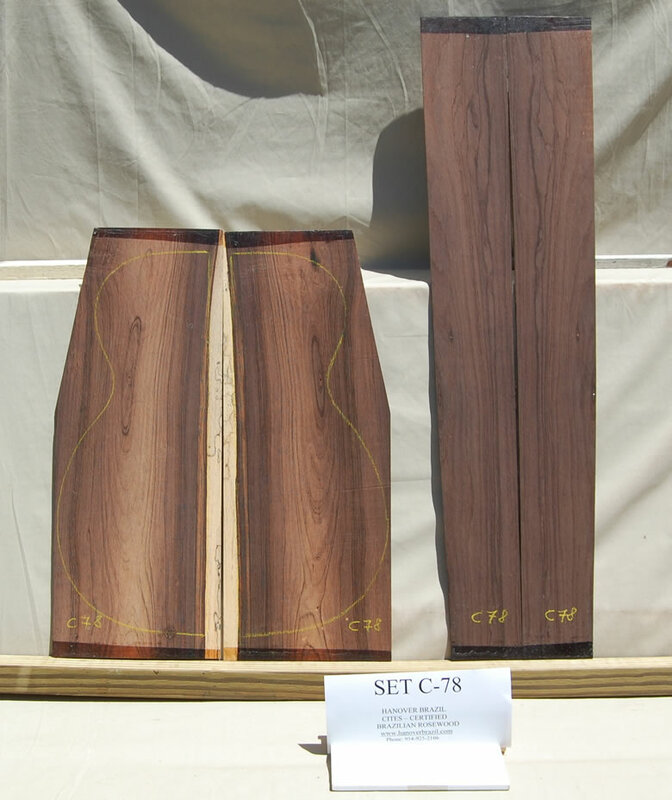 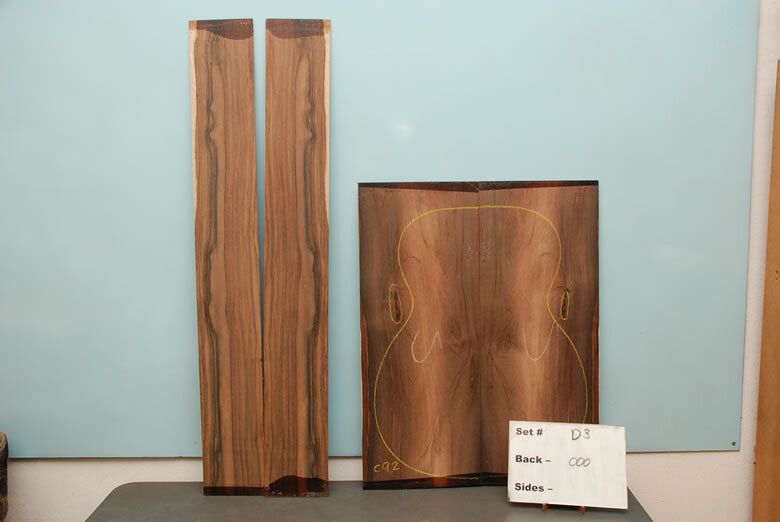 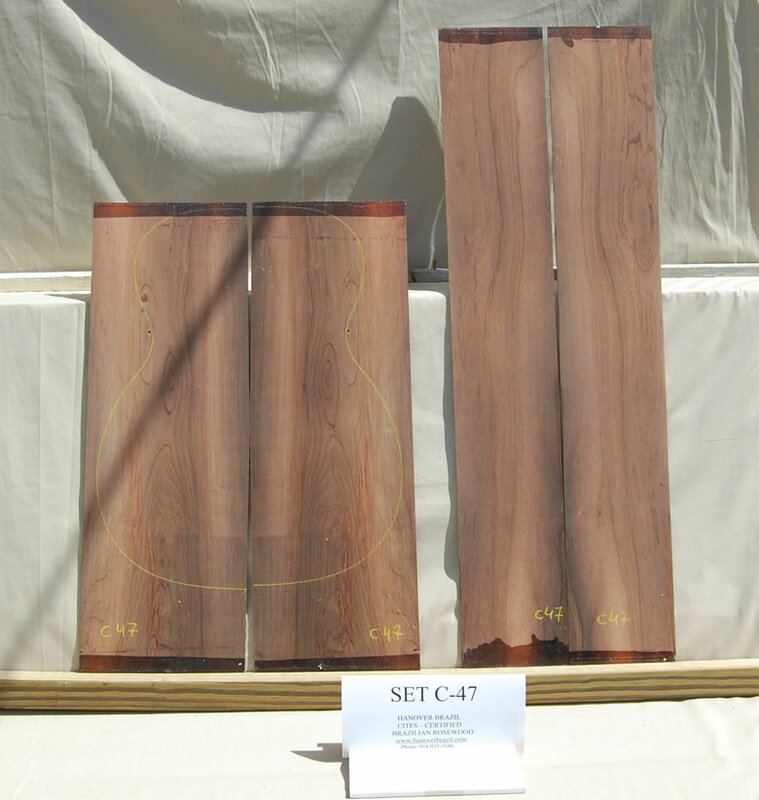 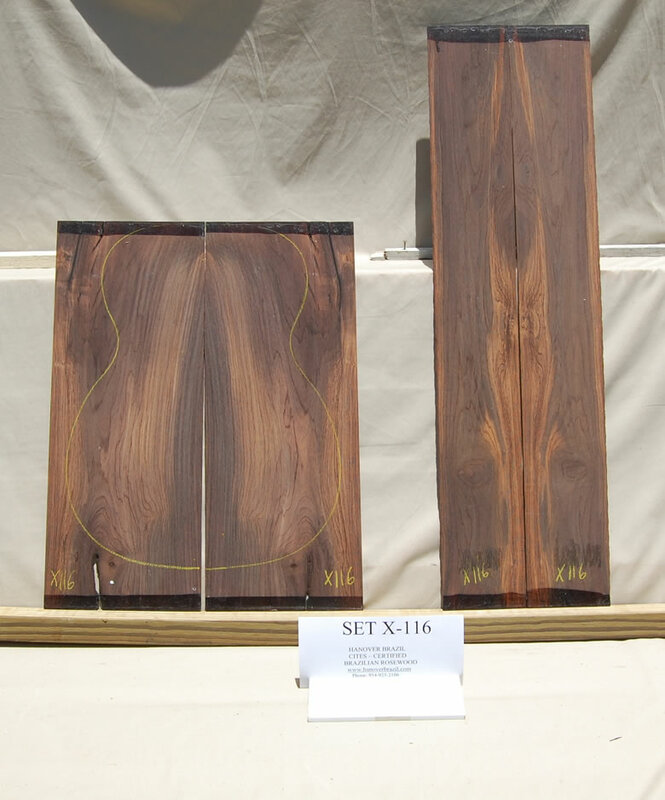 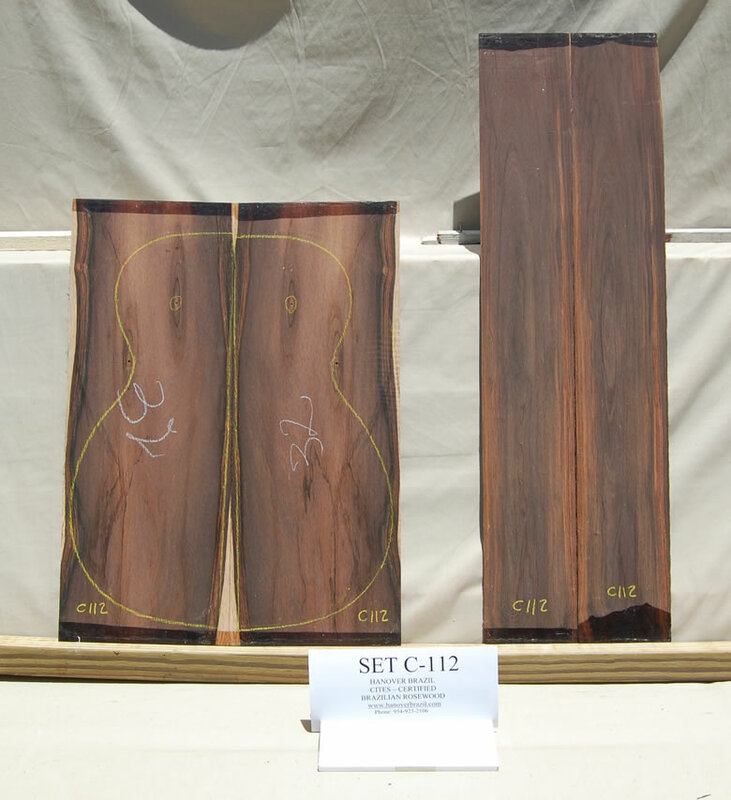 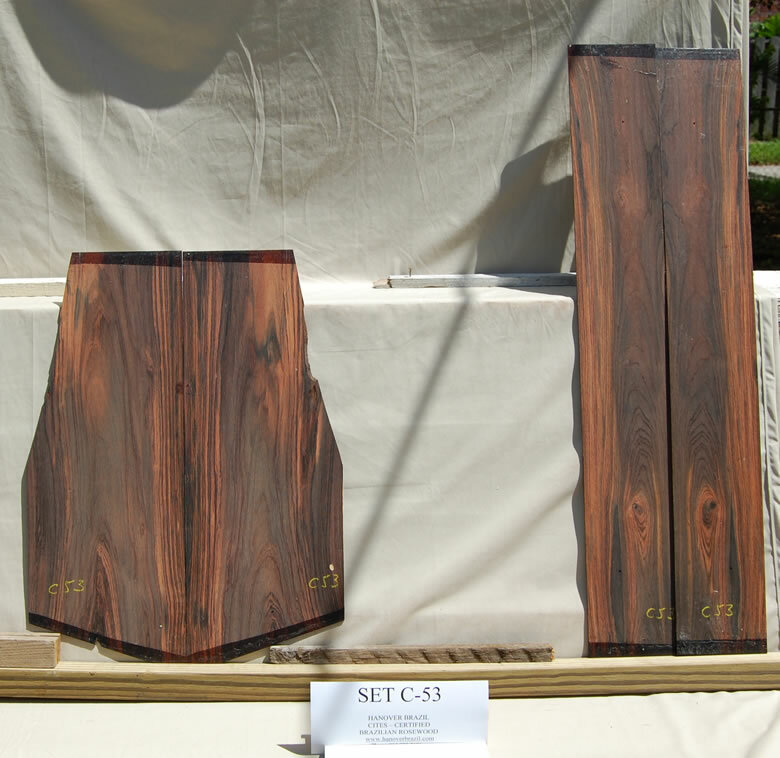 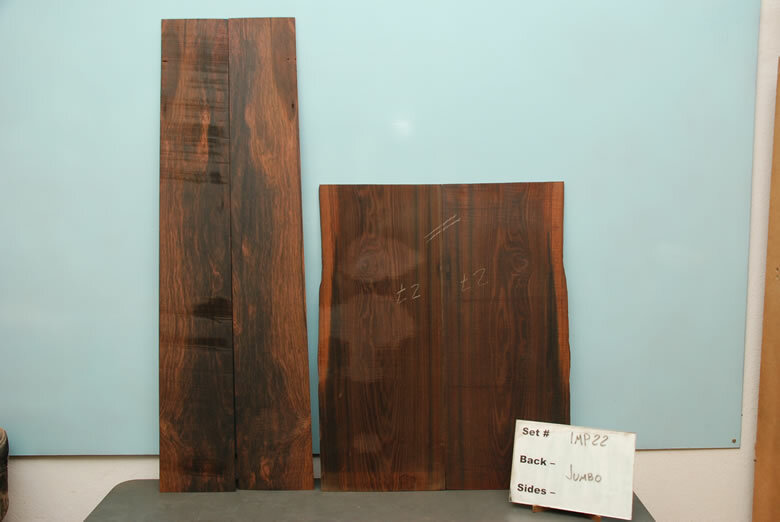 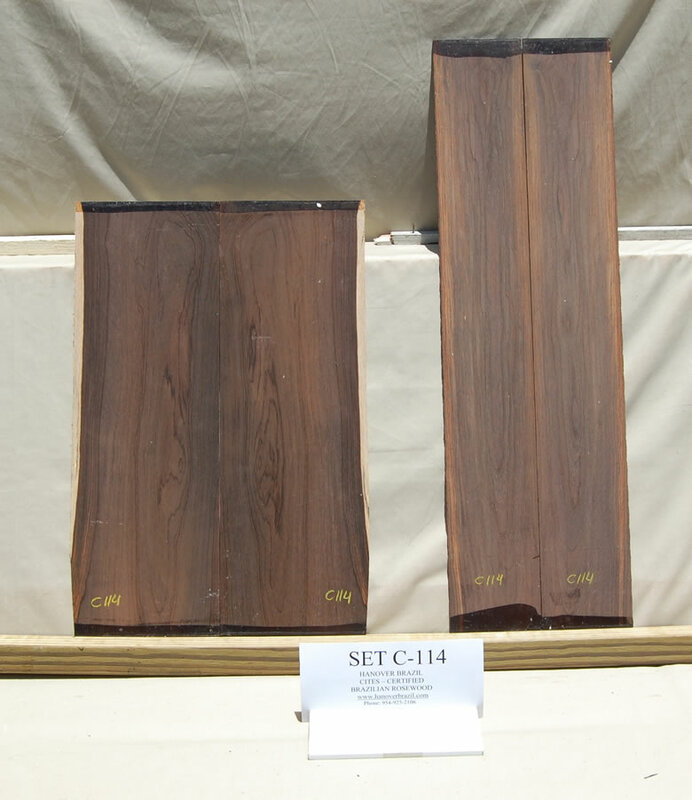 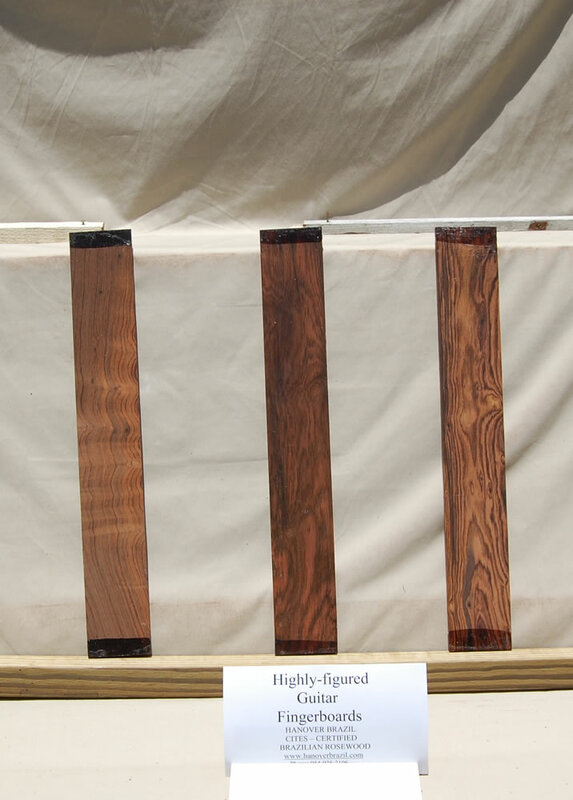 Pictured below are thumbnail photos of many of the Brazilian rosewood (Dalbergia Nigra) guitar sets and other pieces currently in stock at our Florida office. 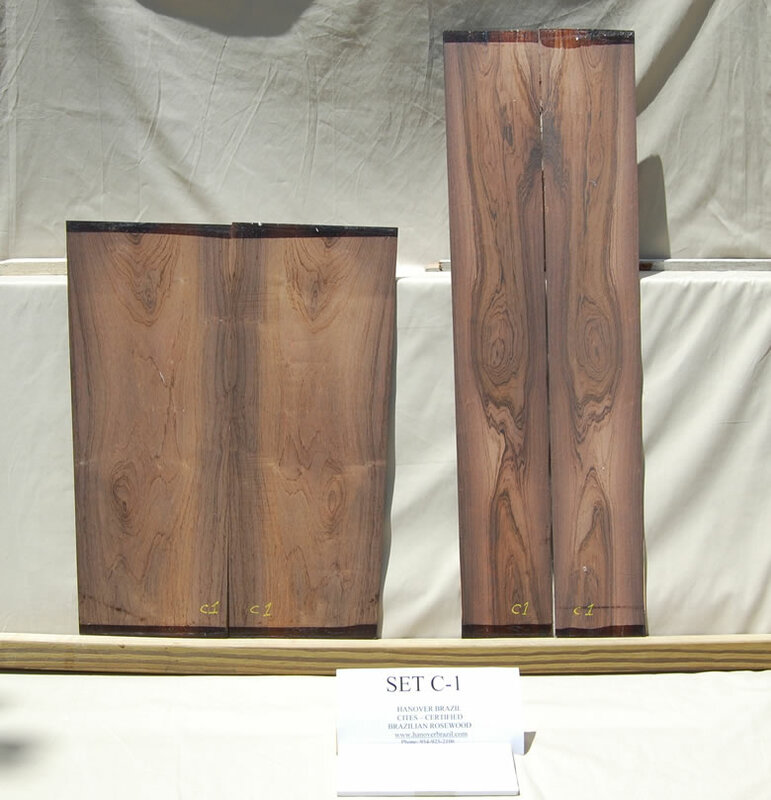 Occasionally we will picture wood still in Brazil. 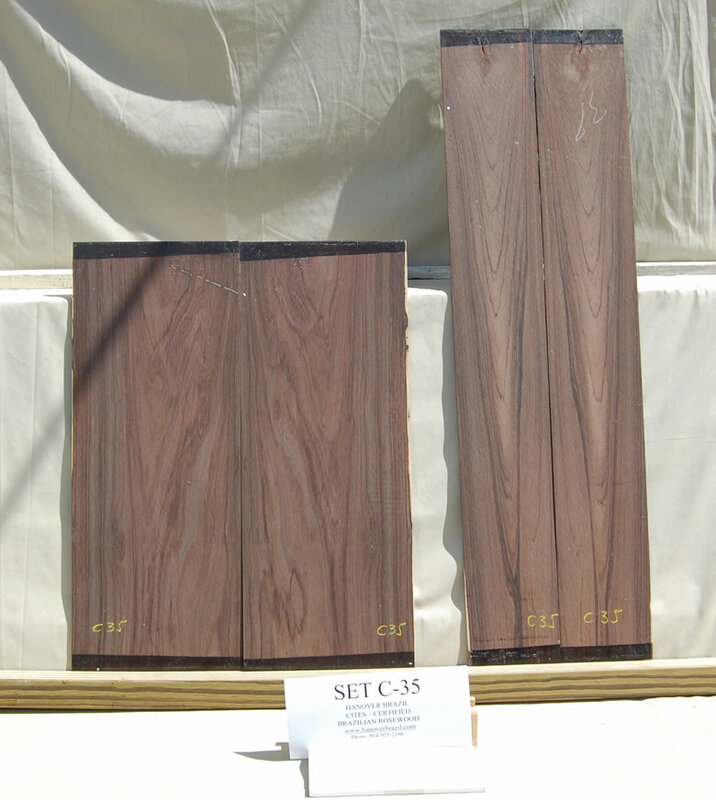 Any set that remains available in the U.S. at the time we receive your inquiry can be shipped almost immediately. 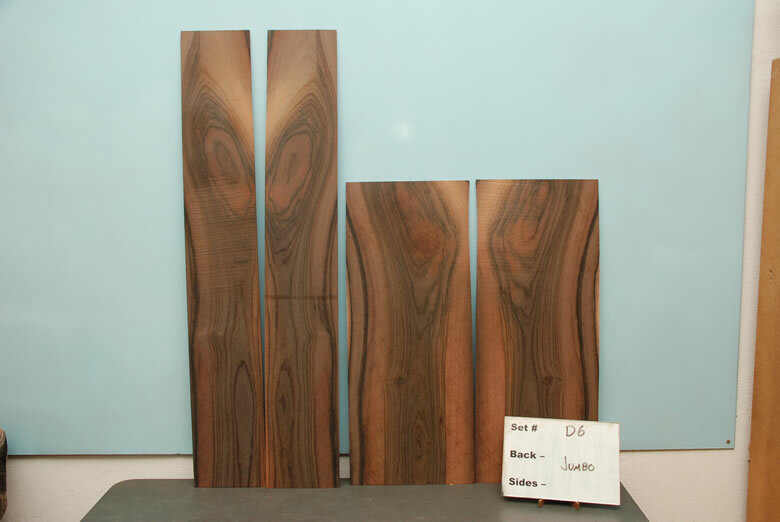 If the wood you are interested in is still in Brazil, we will advise a delivery ETA (estimated time of arrival). 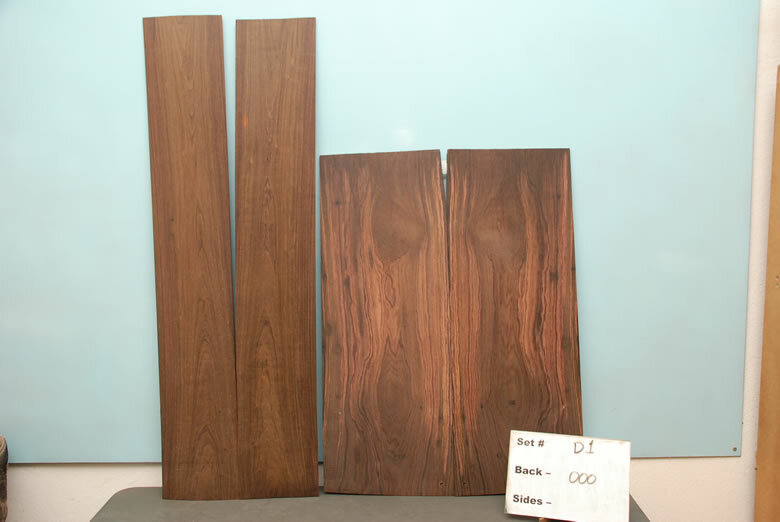 Please contact us at the numbers listed at the bottom of this page for pricing. 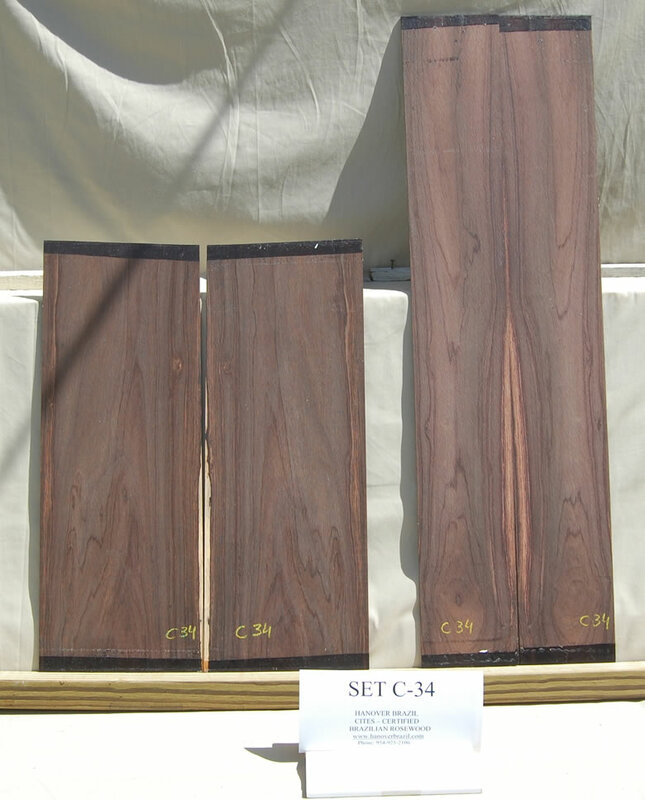 Classical Sides 21-5/8" x 8-1/4"
CUSTOM ORDERS ARE POSSIBLE. 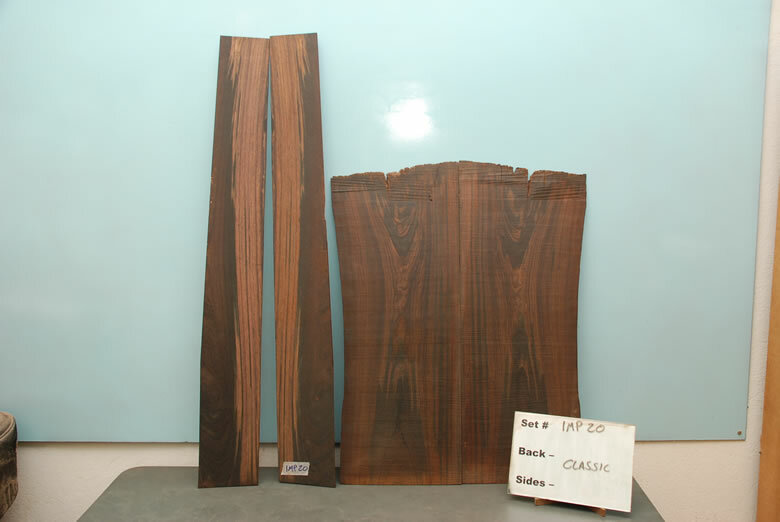 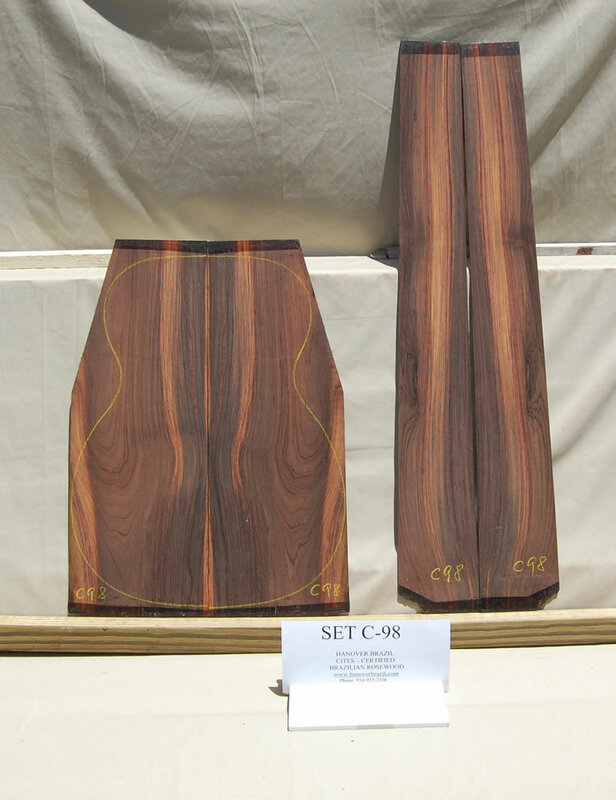 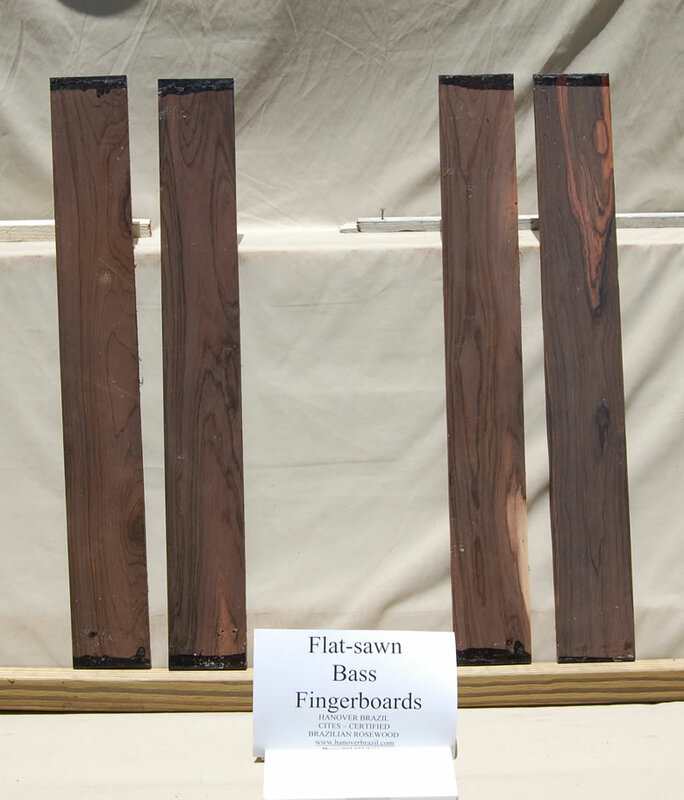 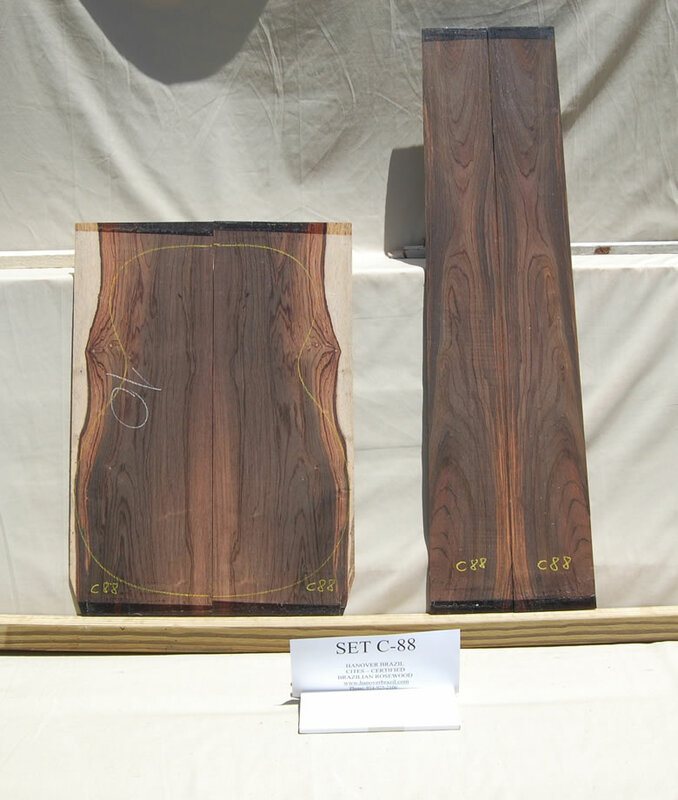 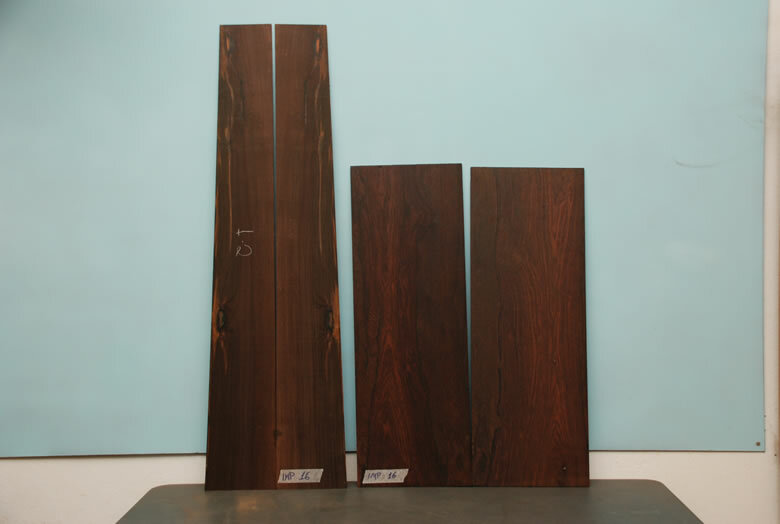 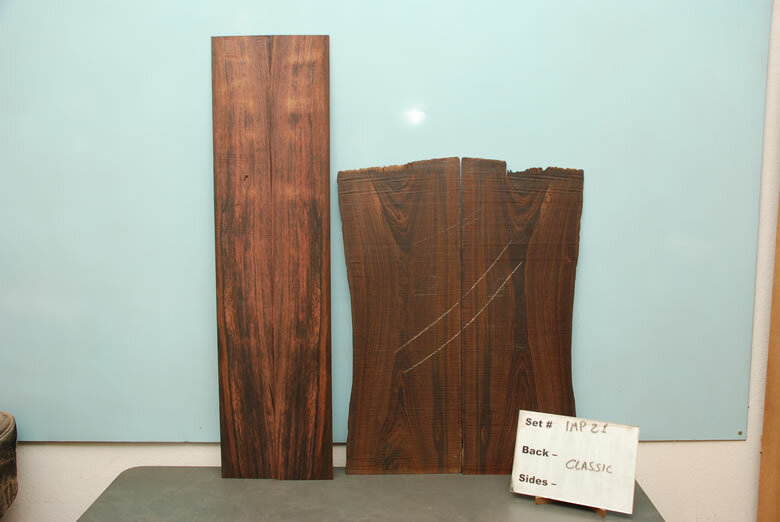 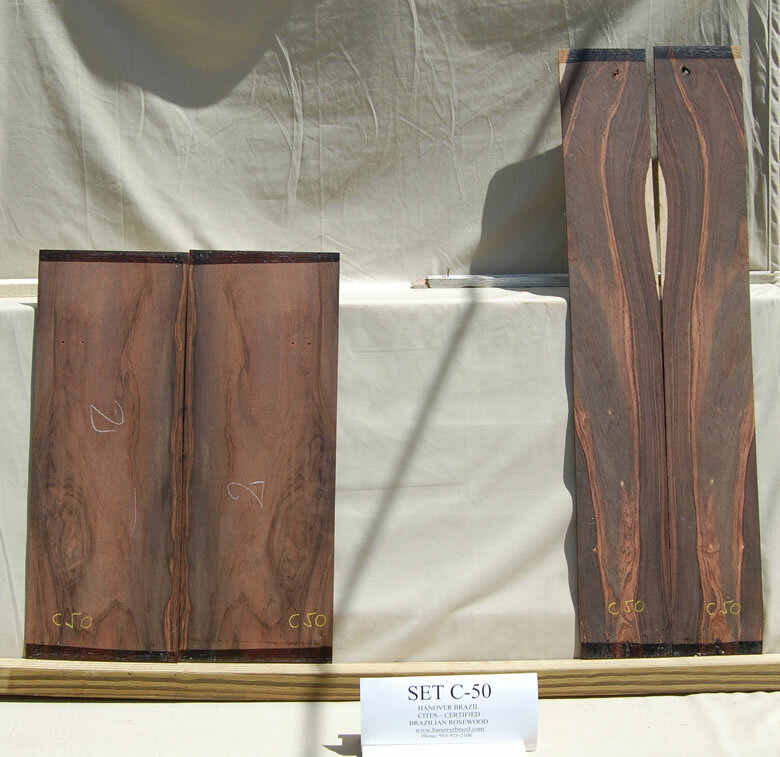 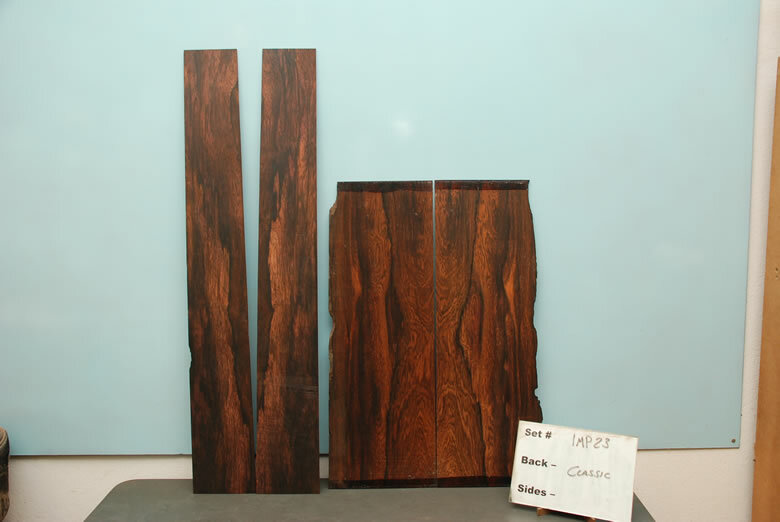 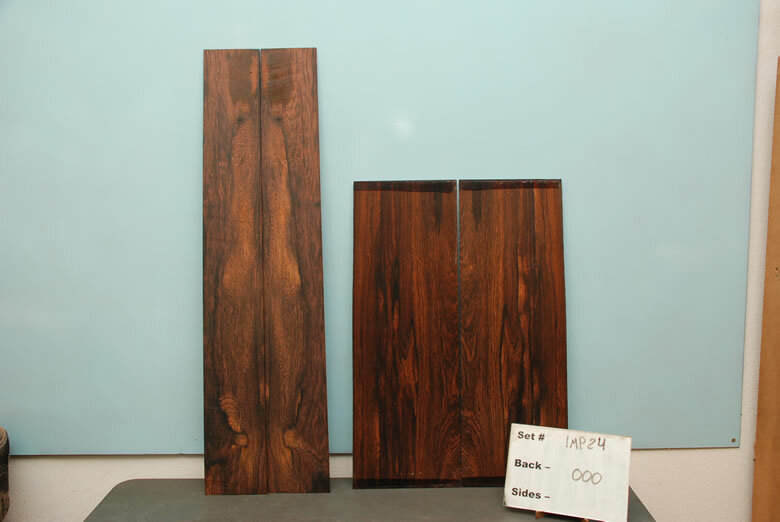 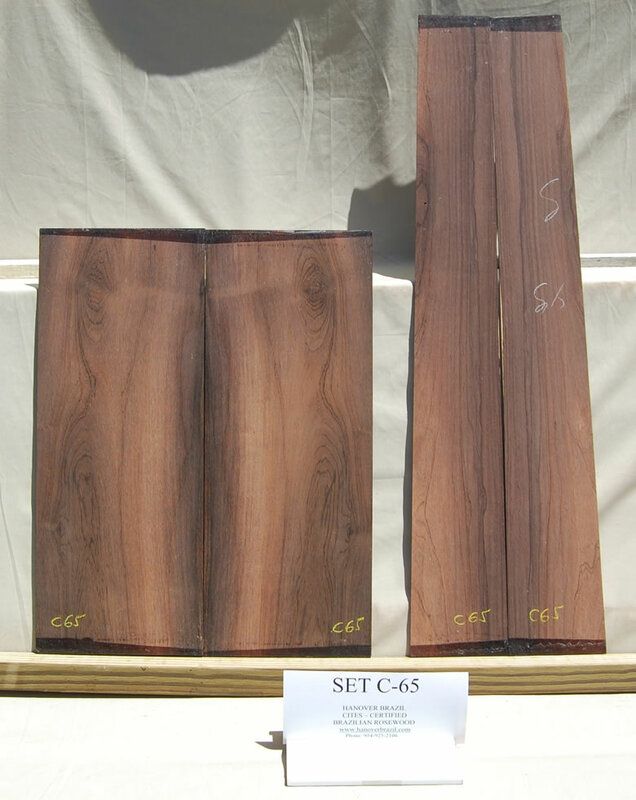 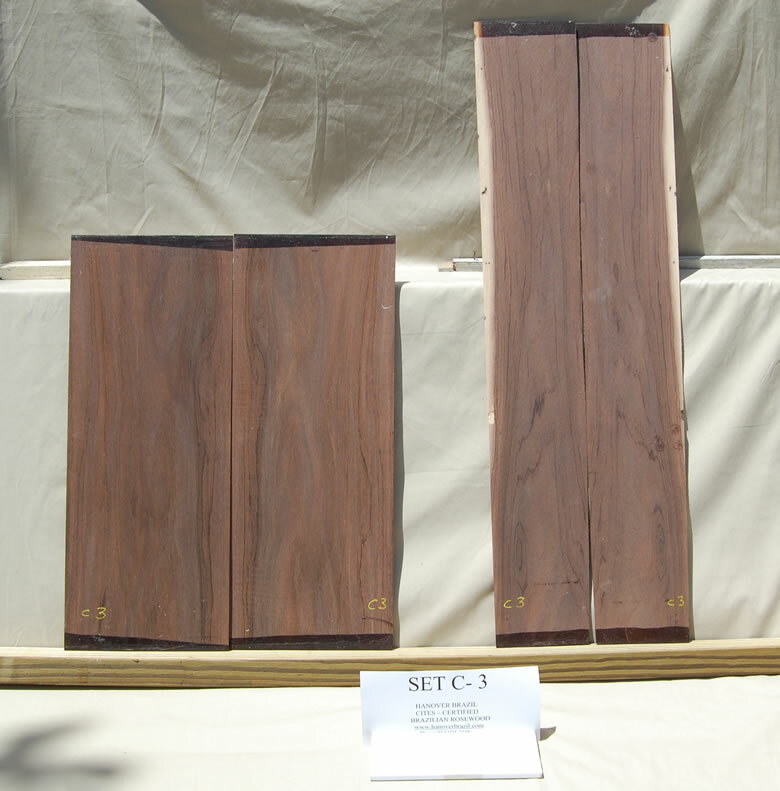 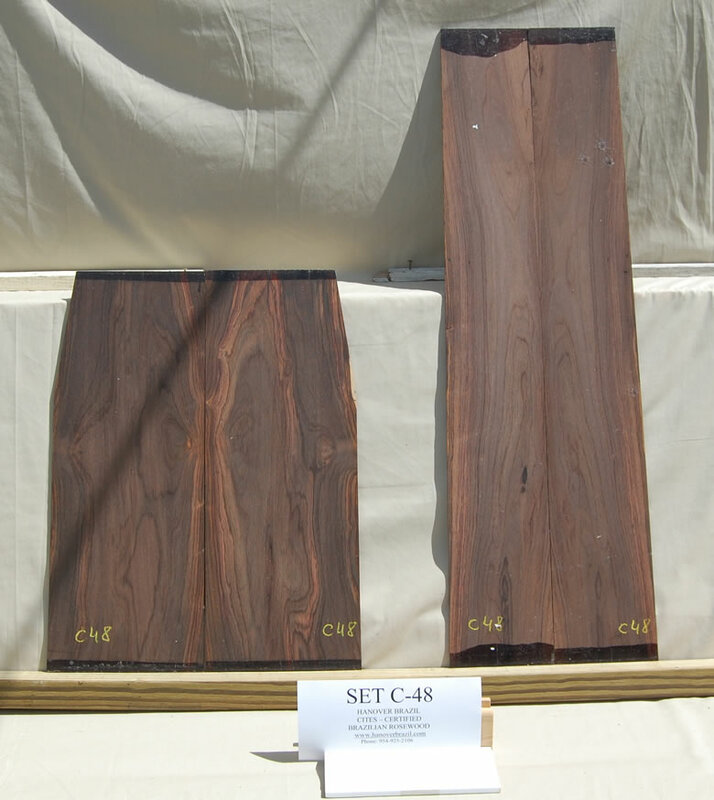 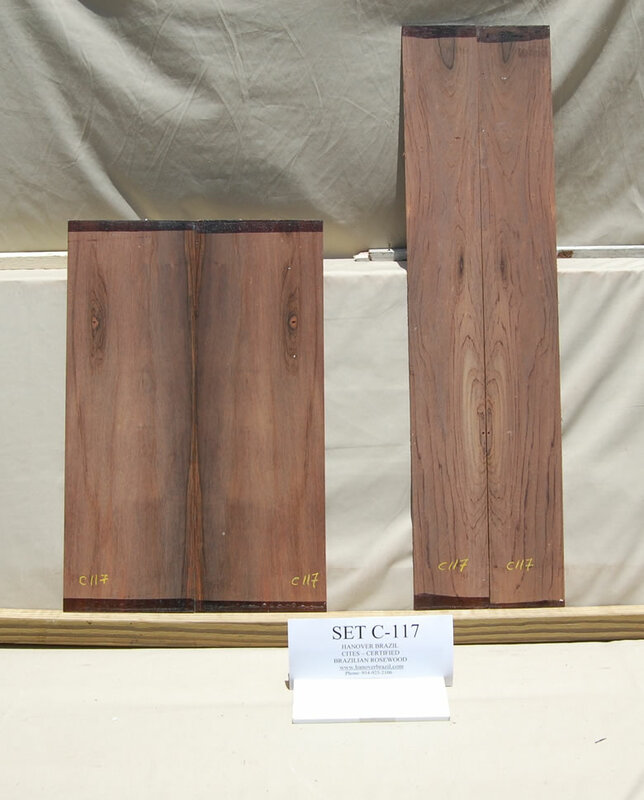 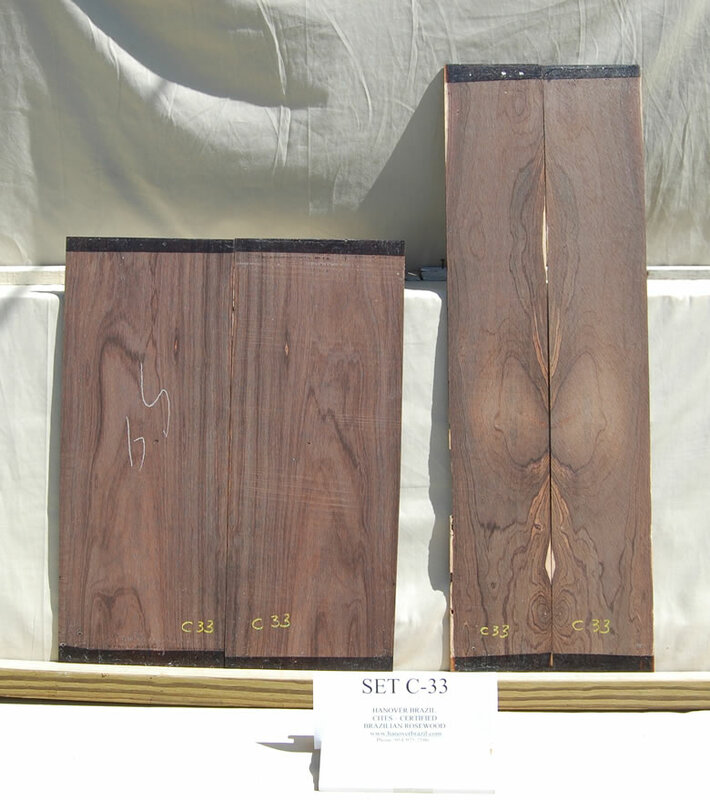 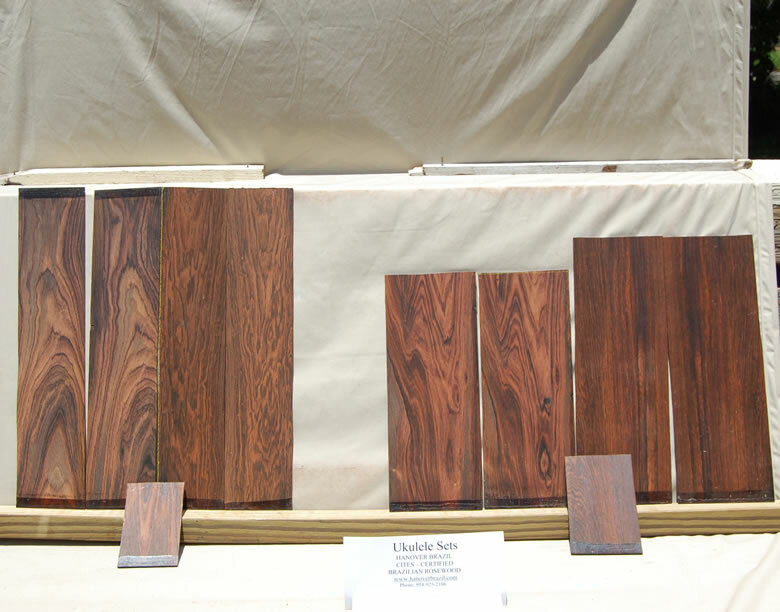 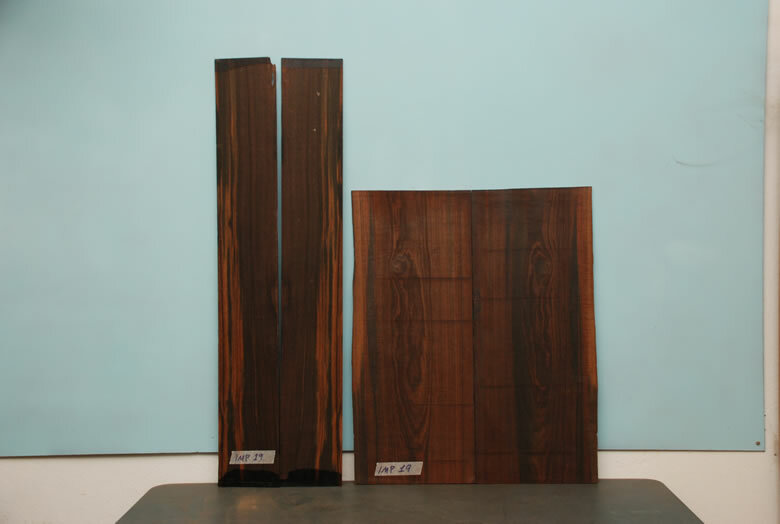 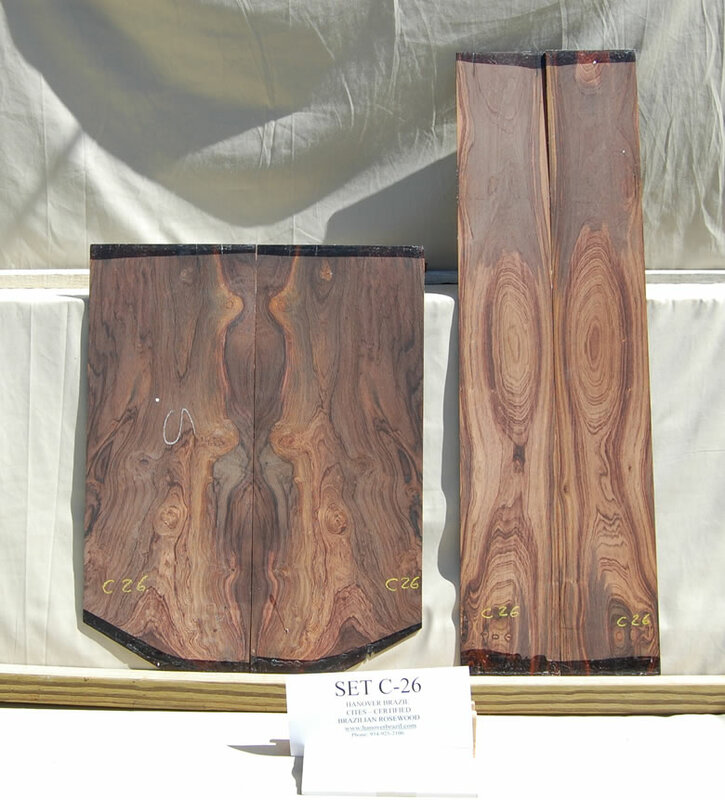 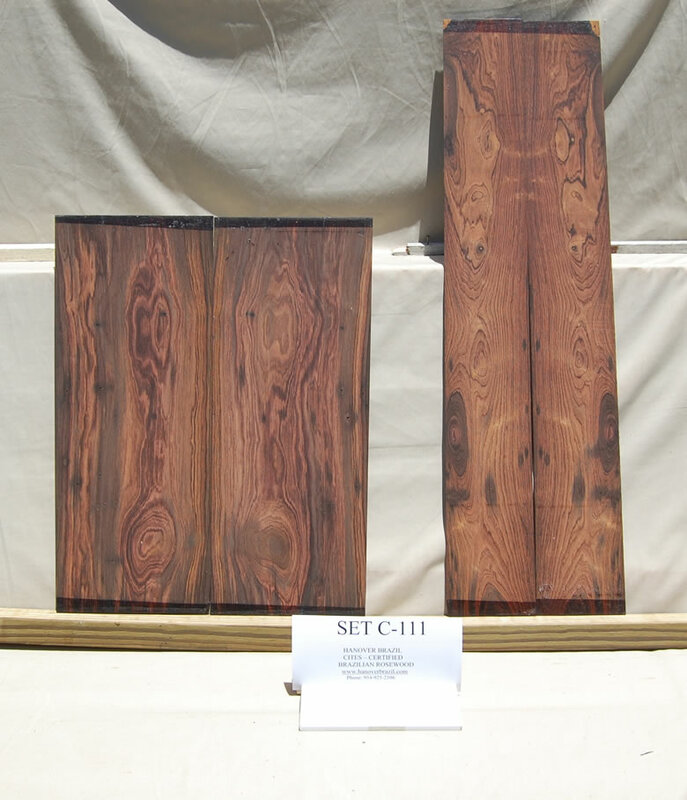 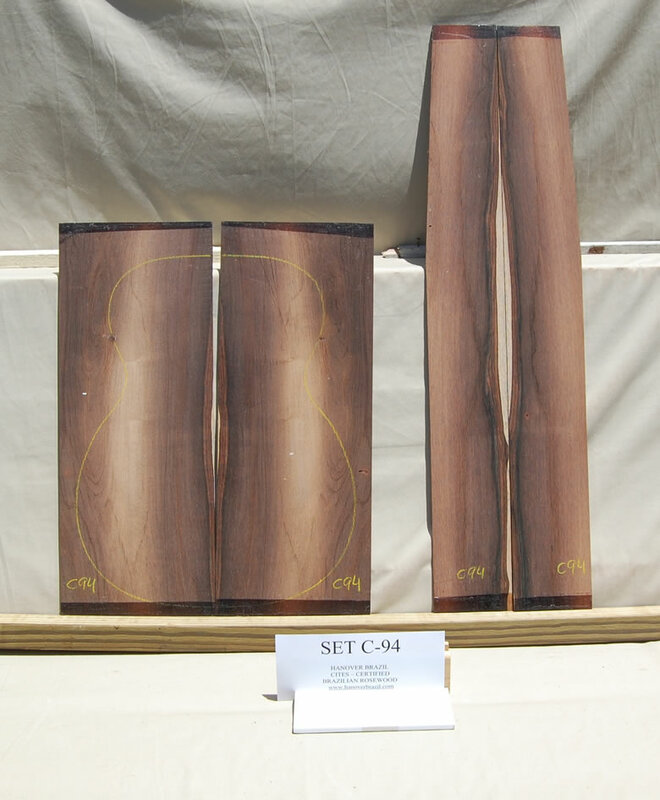 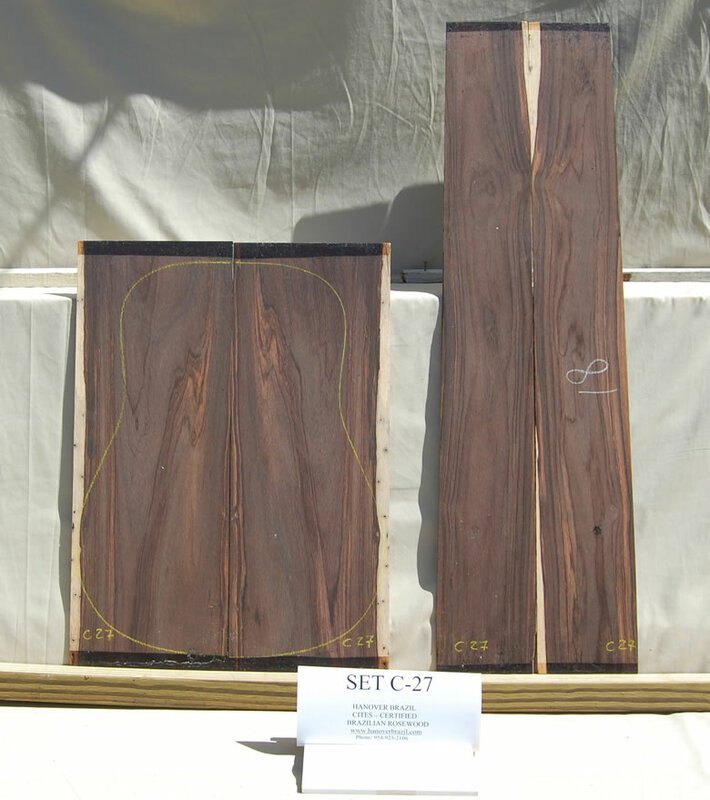 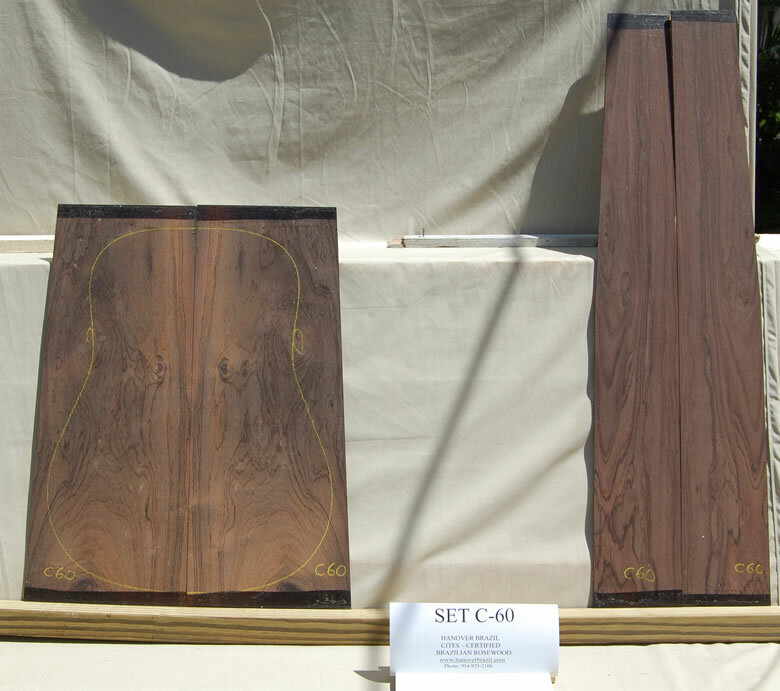 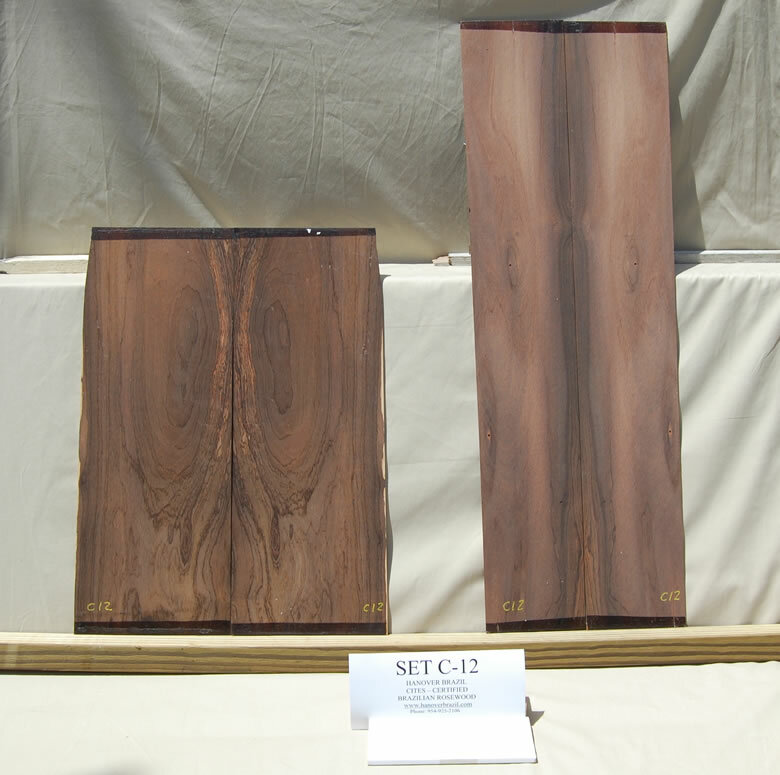 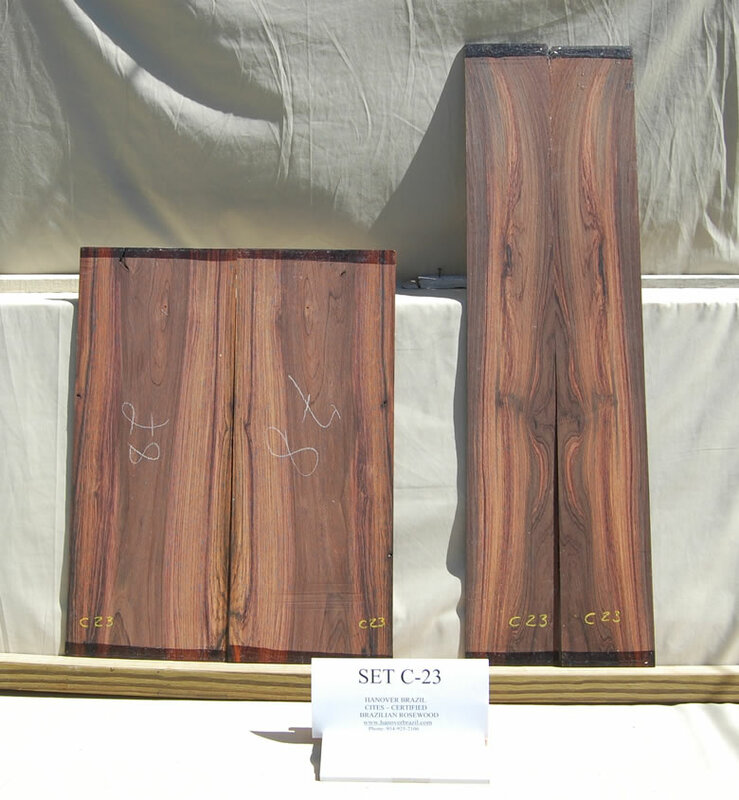 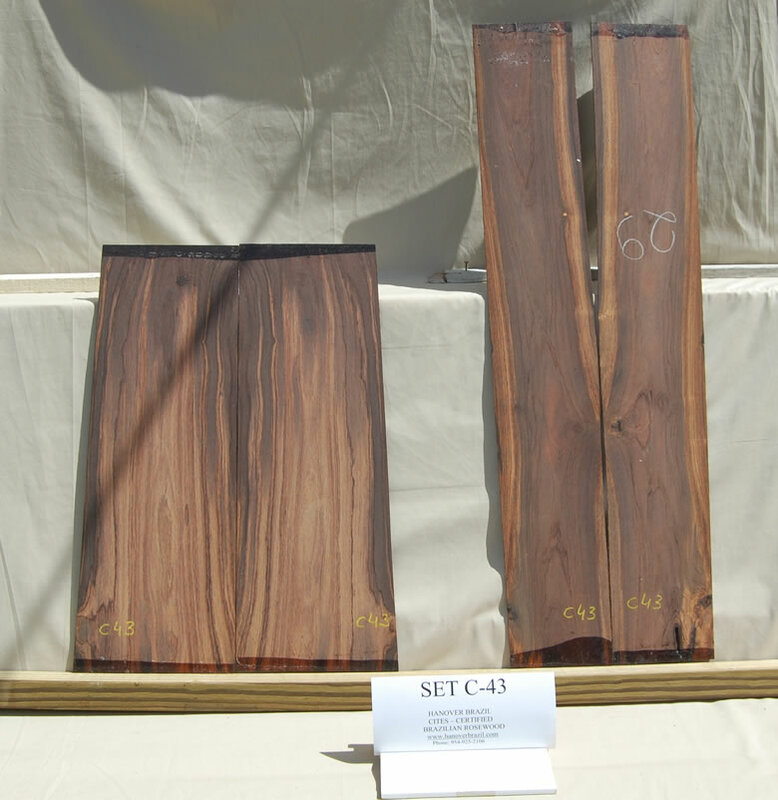 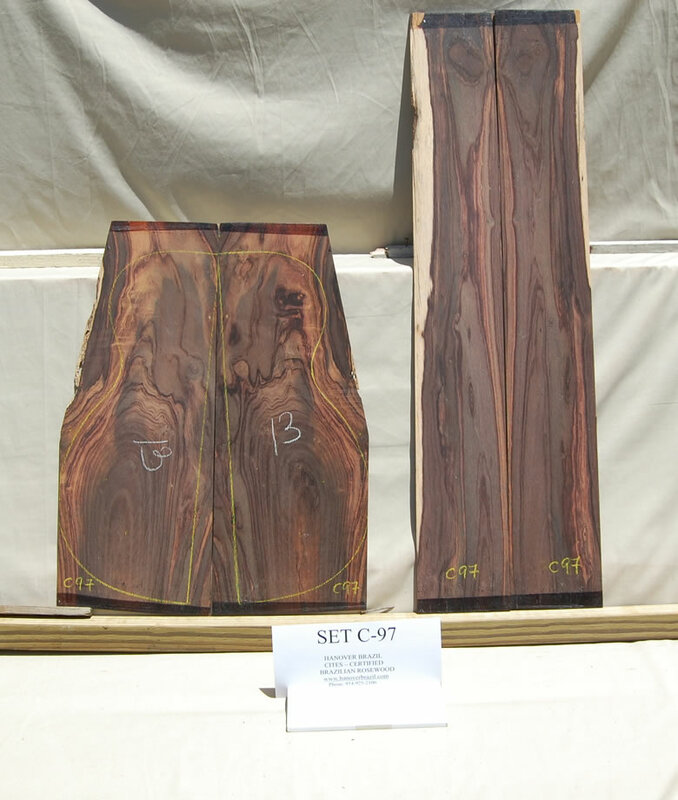 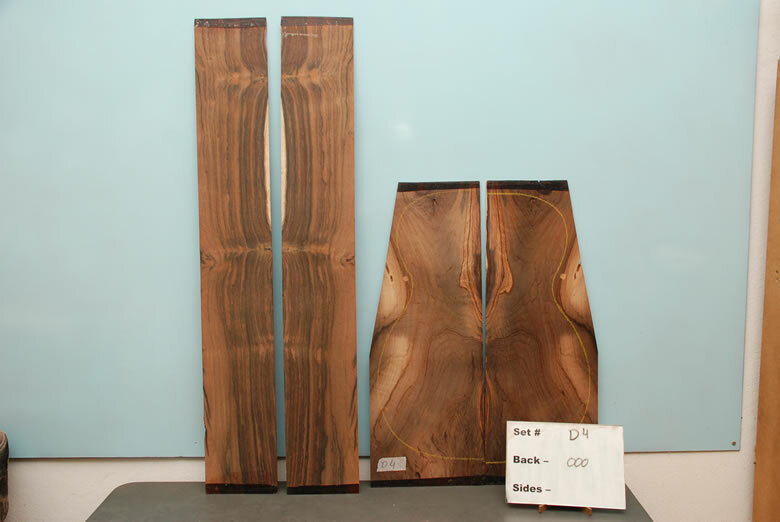 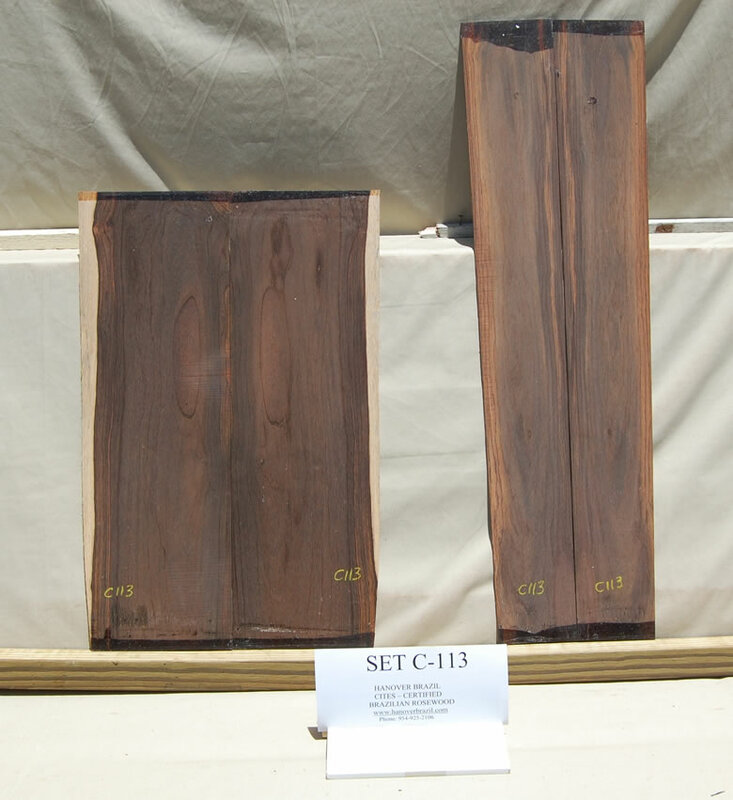 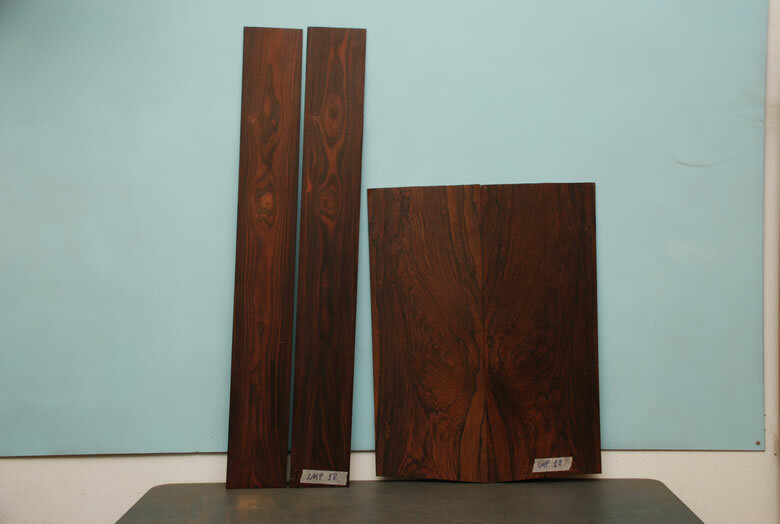 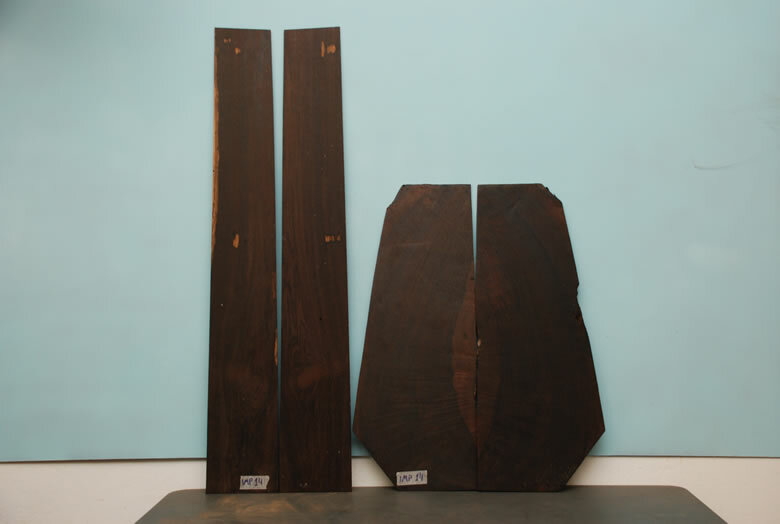 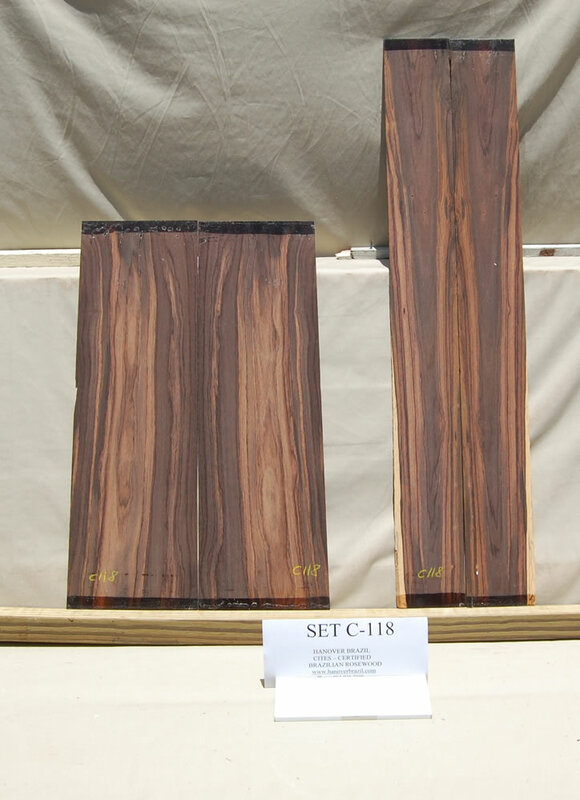 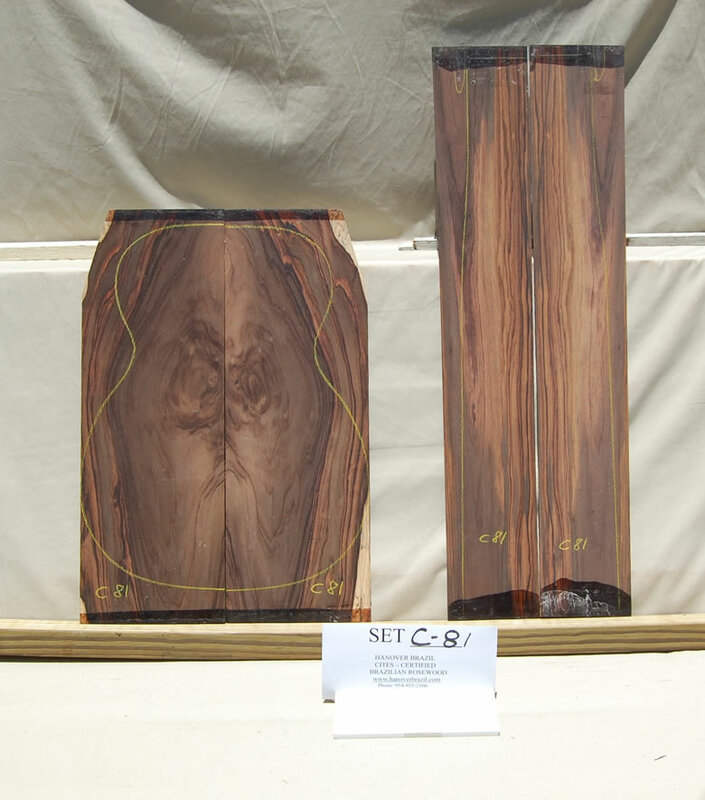 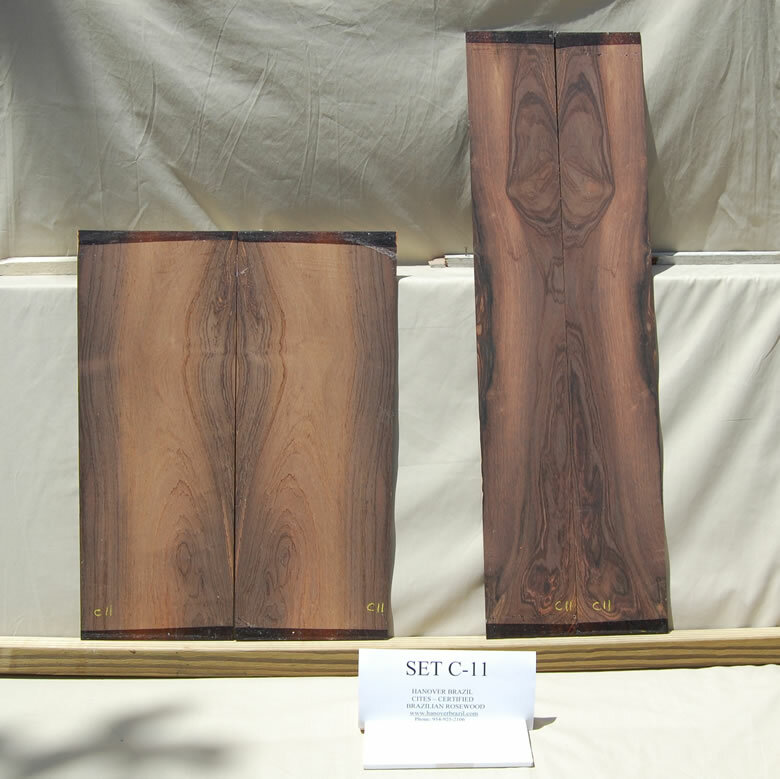 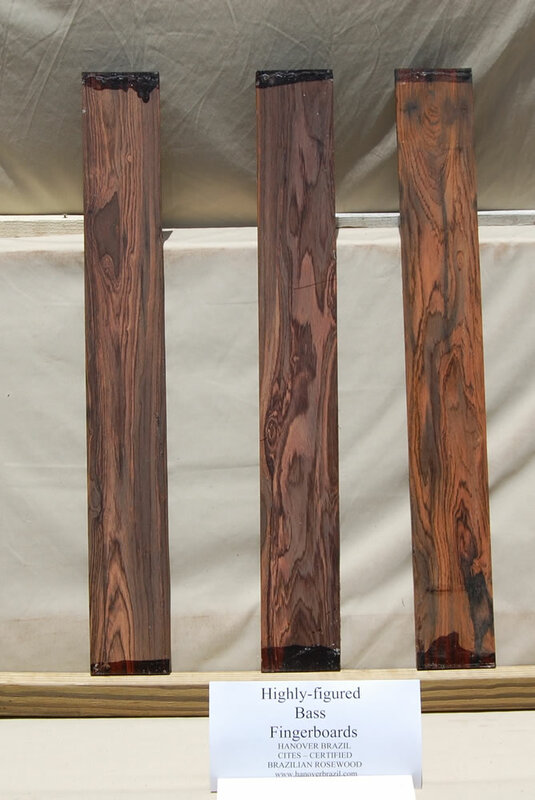 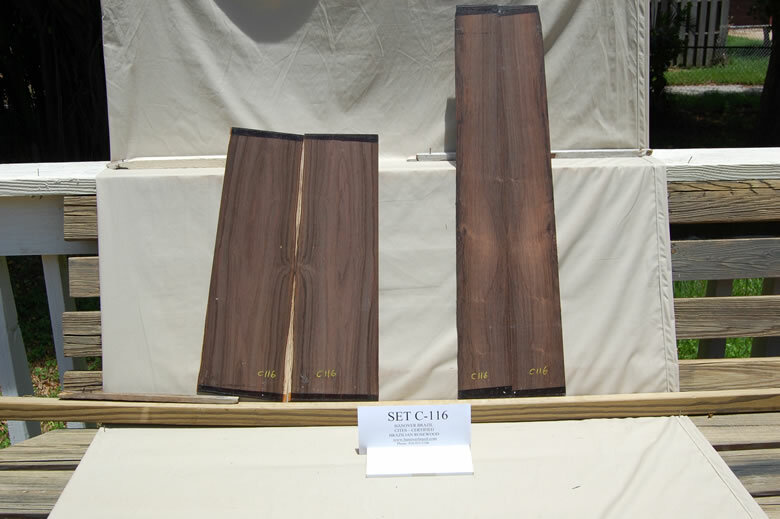 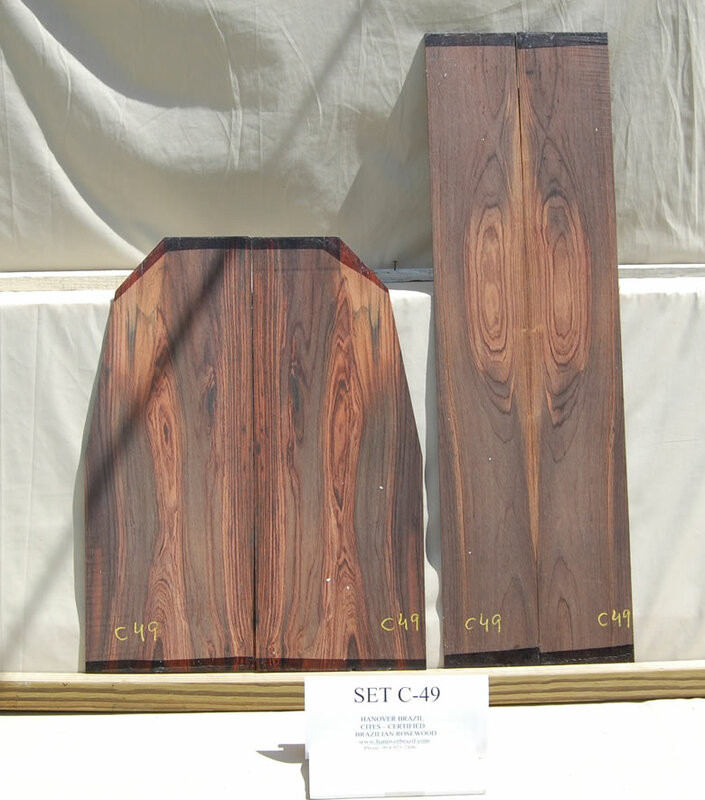 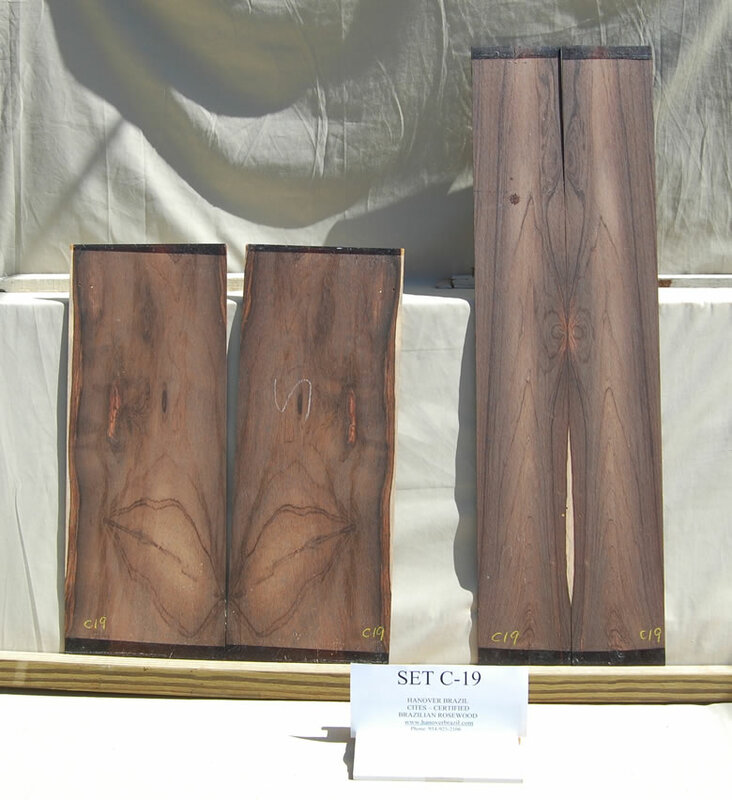 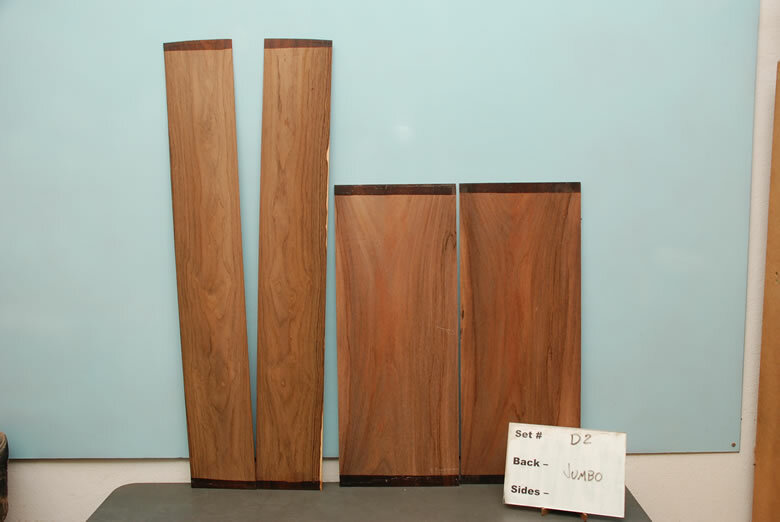 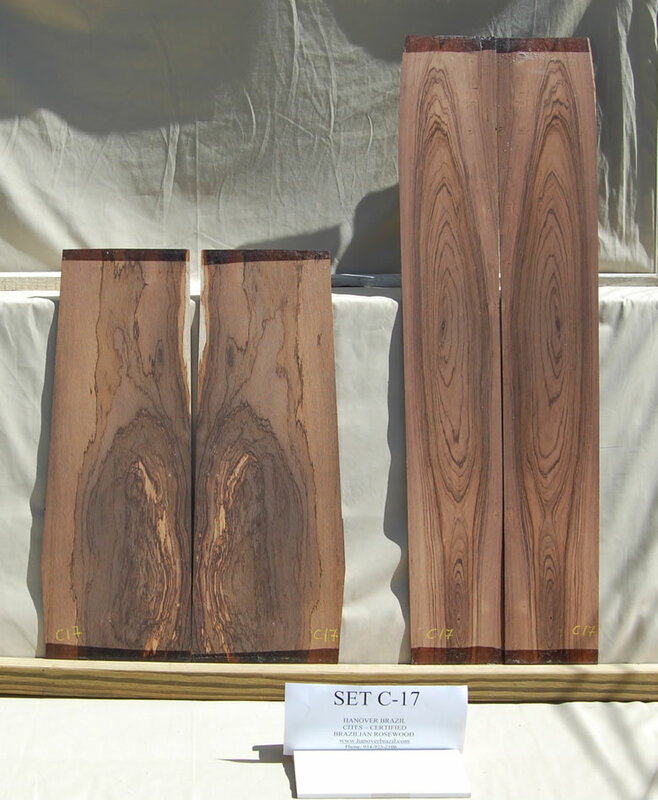 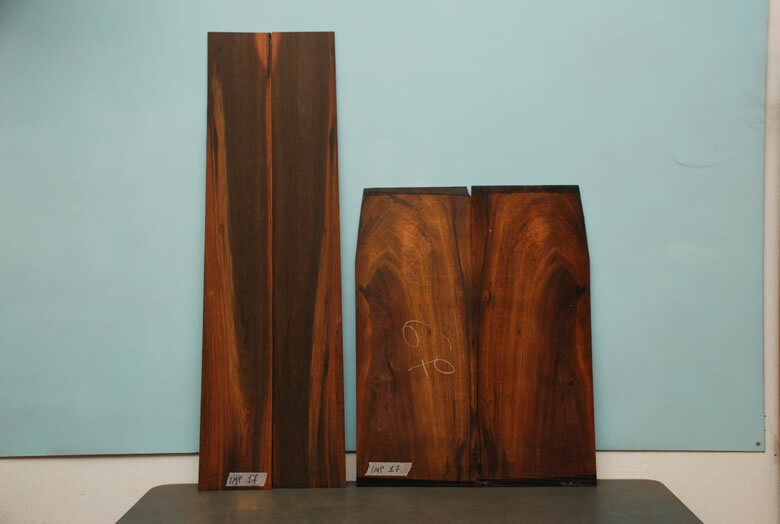 If you have a special project and are interested in custom-cut Brazilian Rosewood, please feel free to contact us to discuss your requirements. 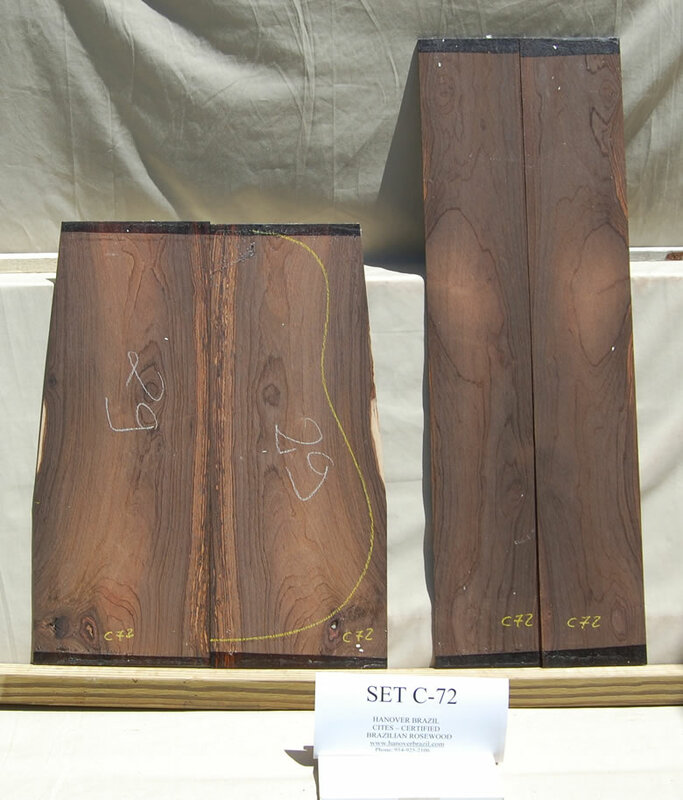 Click a THUMBNAIL IMAGE to view the full size image. 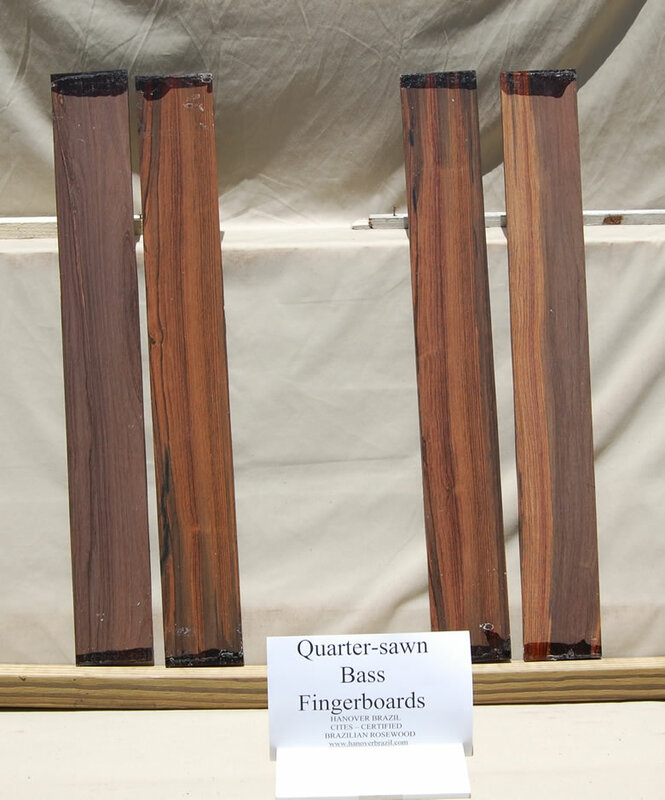 Click a THUMBNAIL PANEL NUMBER to view more sets.